Mothers often ask me about altercations between children, either at home on play dates, or in the park. The usual event is that one child strikes out in some way, either physically or verbally, because the other child has taken something he was playing with, or because the other child won’t play the game the way he thinks it should be played. I have observed the same kind of scene in nursery schools. In both situations a familiar response by mother or teacher is to try to resolve the situation by having the “attacker” apologize to the “victim”. “Say you are sorry!” is what you may hear, especially if the mother of the striker-outer is the one on the scene. It is a common reaction to feel that a child must be chastised and corrected in order to be taught appropriate social behavior. 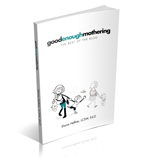 Mothers are often chagrined, feeling that their children’s behavior reflects poorly on them. It is certainly true that our goal is to help children learn how to express how they feel about something in a way that does not hurt or offend someone else. And it is also true that these kinds of episodes are good teaching moments. The question is whether being made to apologize helps children learn what we want to teach. How does it feel to have to say you are sorry if you feel that you are the one who was wronged? Whether you were actually wronged is not the point. Feeling that way and being made to apologize just means that your side of the story has not been heard or understood, so now you feel doubly wronged. If a child complies under duress, neither the cause of the conflict or a better way to resolve such conflicts has been addressed. It doesn’t feel fair, and the usual outcome is even more anger and resentment. An apology empty of genuine feeling is quite meaningless. To mean it requires empathy – the ability to know and identify with how the other person feels. At times that ability can even help you put your own feelings aside for the moment. We call the person who can do that, empathic. The capacity for empathy is present in children very early on. You can see very young children try to comfort another child who is upset. Often children will reflect the upset of others by becoming upset themselves. Observing in nursery schools, I have seen how a child crying when his mother leaves reminds other children of their own feeling of loss and they then begin to cry, too. Empathy, like many other abilities, develops as children mature. We play an important part in that development by helping children become aware of the feelings of others. But first, we have to show empathy for their feelings. Mothers sometimes will say, “How do you think it made him feel when you did that?” But a child whose own feelings have not been addressed is not ready to think about how someone else feels. It is by understanding and clarifying for our children what they themselves are feeling that they can begin to identify with what others might be feeling. Insisting that a child apologize as a means of reparation for behavior he thinks was justified simply says to him that you are taking the other child’s side, or that you care more about the other child than you do about him. Besides, since the apology is not sincere, the message is that using empty words is the way to gloss over conflict. In fact, one can hear children saying, “I’m sorry”, in a somewhat mechanical way if another child complains about his behavior to an adult in charge. Conflicts between children are most often caused by both, not just one. They arise because children have not yet mastered social interactions and negotiating conflict. They also have not yet mastered the control of their emotions necessary to express feelings in words rather than physically. That is why conflict situations do make for such good teaching moments. First of all, we can help clarify for a child what it was that happened. “You were angry because he took the toy you were playing with”. Or, “You wanted her to play the game your way”. In doing that we are both acknowledging our own child’s feelings and also making a connection between the feeling and the way it was expressed. Having acknowledged the feeling we can now talk about better ways to express it. But the next step is to help children figure out how to resolve the conflict. A major problem with the empty apology is that it doesn’t teach children how to do that – and that is really what they need to learn. Whether it is by sharing, taking turns, or compromising on the rules of the game, they often need the help of an adult while learning. “I’m sorry”, sometimes may be useful to say last, but almost never, first.